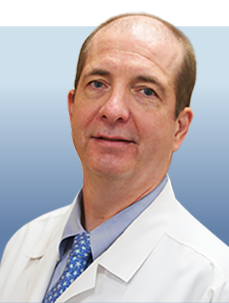 Robert J. Motzer, MD, is a medical oncologist specializing in renal cell carcinoma (RCC), germ cell tumors, and immunotherapy at Memorial Sloan Kettering Cancer Center. Created the Motzer System, a risk algorithm based on clinical and laboratory data that aids in the prediction of treatment outcomes for patients taking medications for advanced RCC and is used to help select candidates for clinical trials. Has led more than 75 clinical trials in patients with RCC or testicular cancer, including national and international multicenter studies. Helped identify 8 targeted drugs for the treatment of patients with advanced RCC: sunitinib (Sutent), pazopanib (Votrient), axitinib (Inlyta), temsirolimus (Torisel), everolimus (Afinitor), nivolumab (Opdivo), cabozantinib (Cabometyx), and lenvatinib (Lenvima). Serves as chair of the National Comprehensive Care Network Kidney Cancer and Testicular Cancer Guidelines Panel. Honored with the Career Development Award from the National Institutes of Health, the Willet F. Whitmore Award for Clinical Excellence from Memorial Sloan Kettering, and the Schonfeld Award from the Kidney Cancer Association.